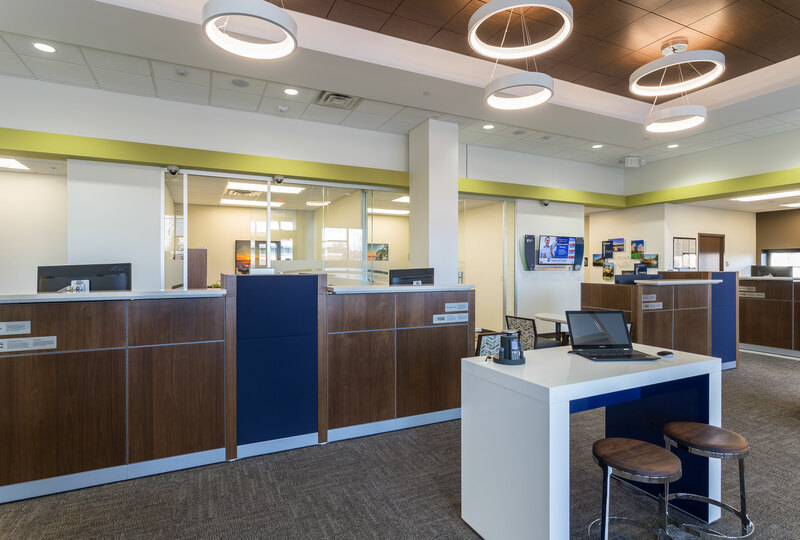 We provided design for the interior build out of a new bank that is located on the first floor of a mixed-use development in Minnetonka. 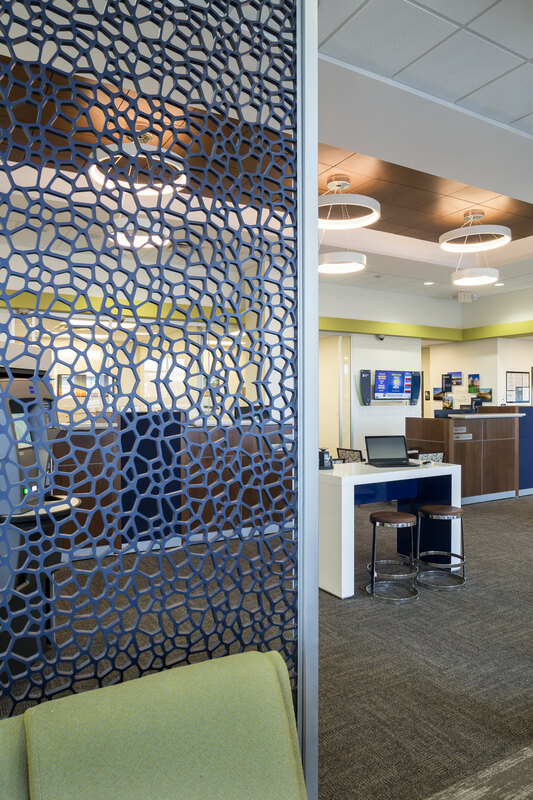 The design incorporates some of the technologies seen in banking today. Kiosks will be available for customers who wish to complete their transactions by themselves. 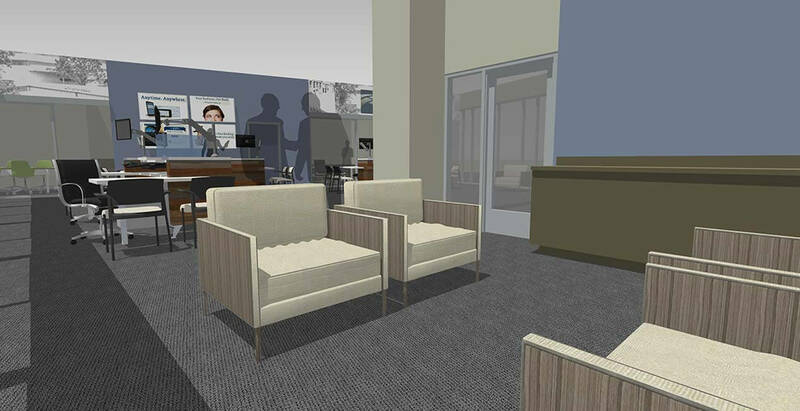 In lieu of a long teller line, there will be small desk locations for customers to walk up and conduct their transaction. 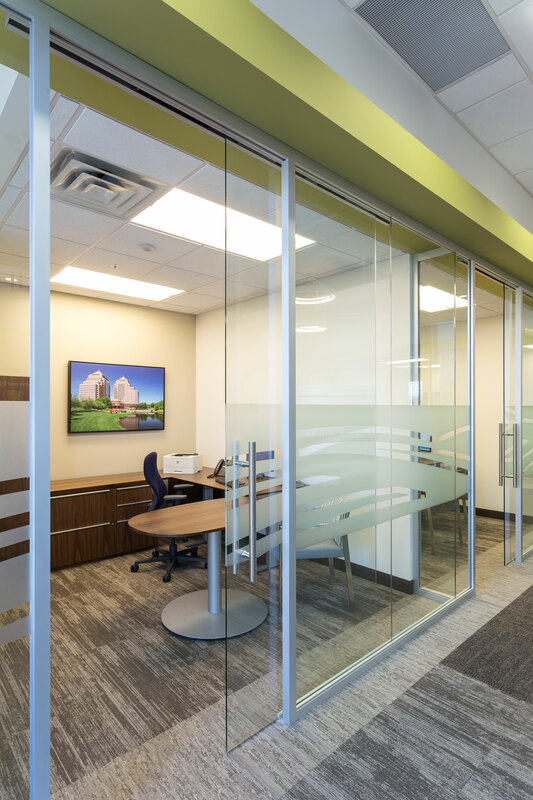 If customers are seeking a private conversation with their banker, enclaves have been developed to allow for quiet discussion while maintaining a wide open floor plan. 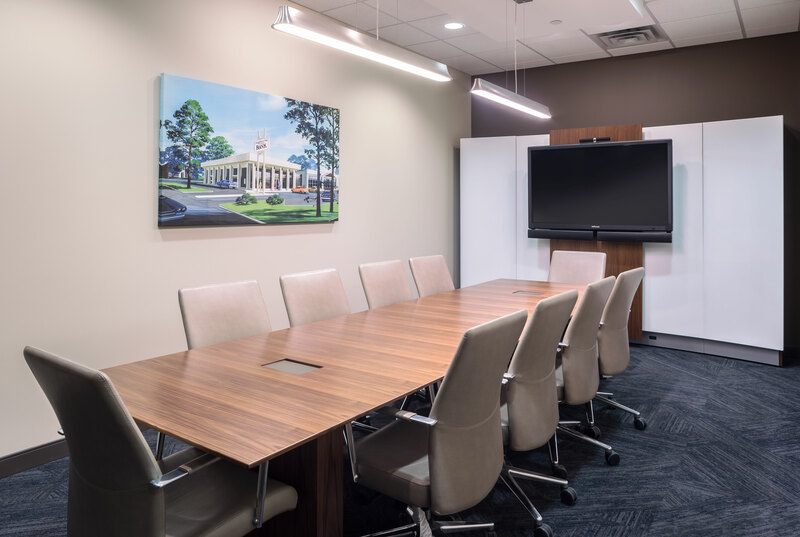 This new floor plan takes on attributes of the”Universal Banker” in which case employees are cross-trained and able to help with any transaction needing to take place. 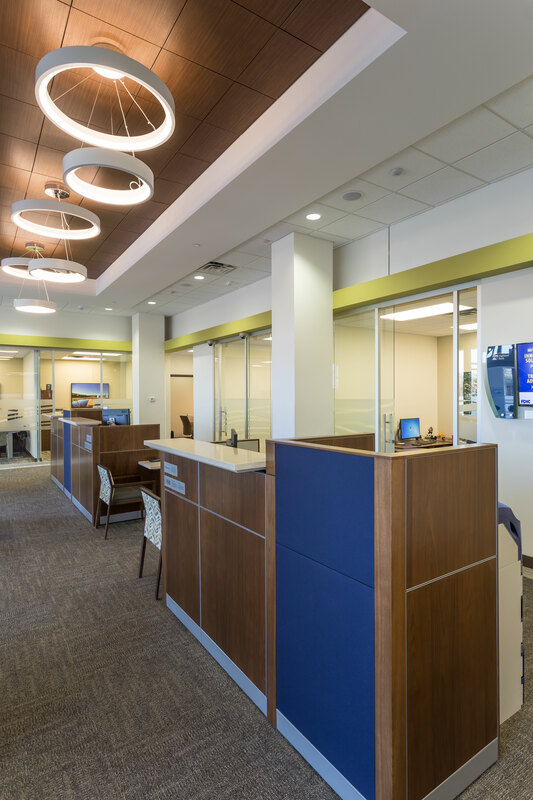 Employees have clear view of the bank so are able to see if a customer is in need of services at any time.